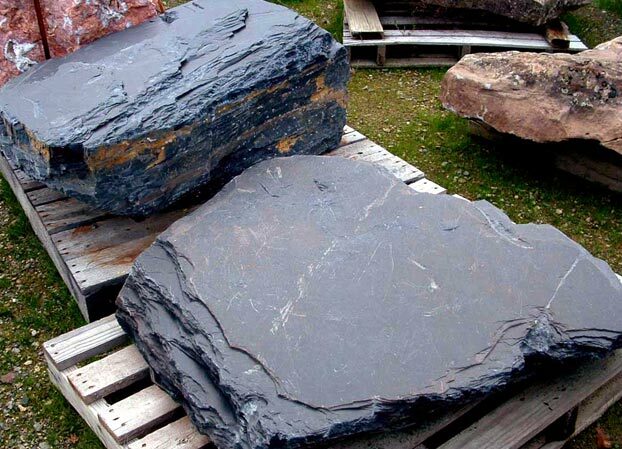 Here at Vic Hannan Landscape Materials we have a large variety of beautiful boulders for all your landscaping needs. 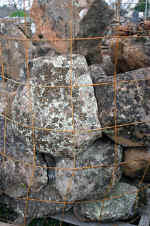 We have boulders in many shapes and sizes that can suit any landscape you are building. As you can see we have a great selection of boulders. 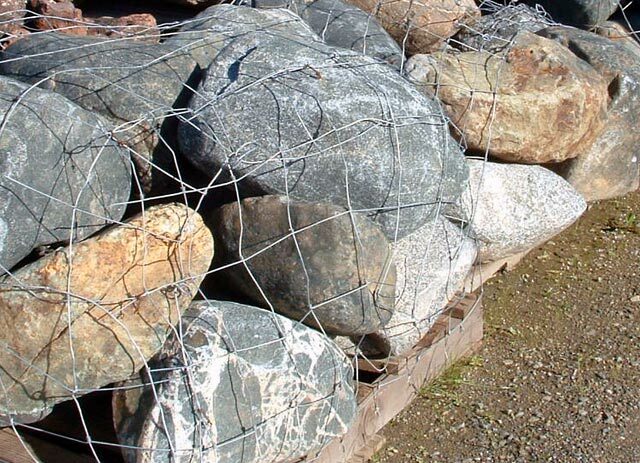 You can use these boulders to line gardens, small trails or creeks -the possibilities are endless. If you are building for a damp environment moss boulders would be a great addition because the moss thrives in those environments. Trying to go for a sleek modern look, try out the black slate. If you like field stone boulders and like moss boulder we have the combination of both moss and fieldstone that will leave you without having to make a compromise. Some of these boulder look nice in dry and arid environments like the desert rose. 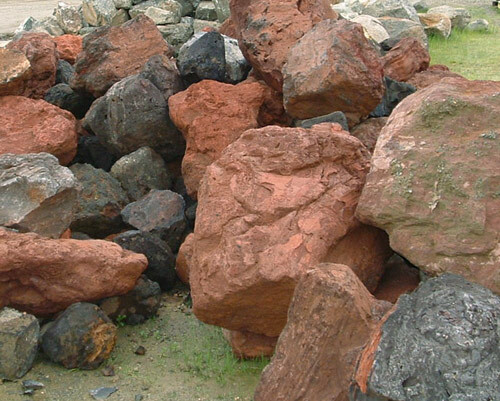 With our boulder selection you can make any landscape beautiful just give us a call at (530)243-3037 or send us an email at sales@vichannan.com and we will answer any questions you may have. 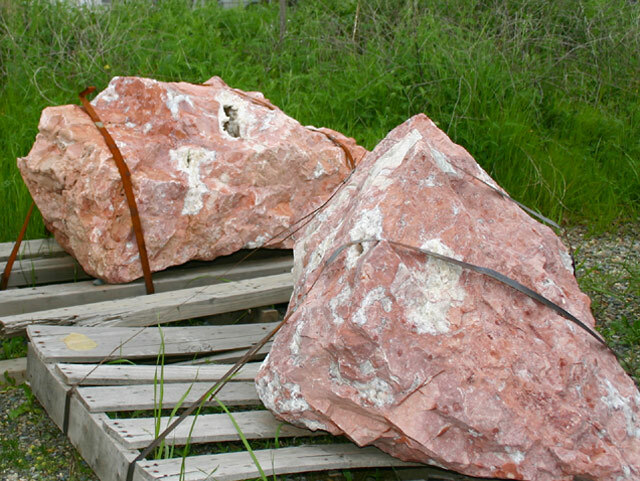 Here at Vic Hannan Landscape Materials we have some of the most beautiful boulders for all your landscaping needs. 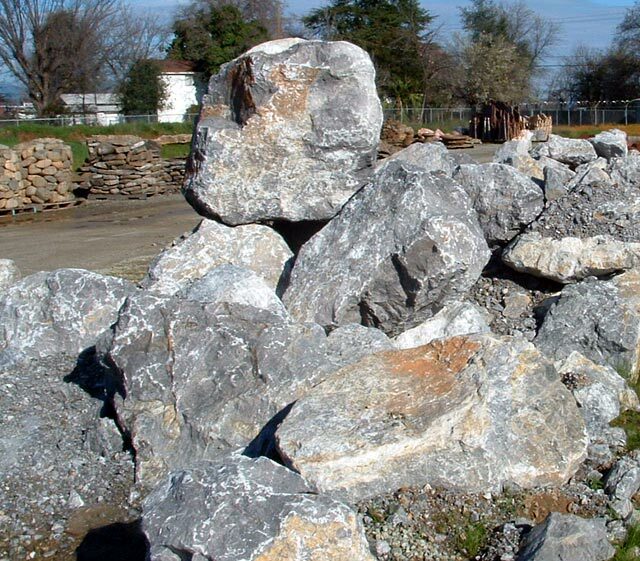 We have boulders in many shapes and sizes that can suit any landscape you are building. 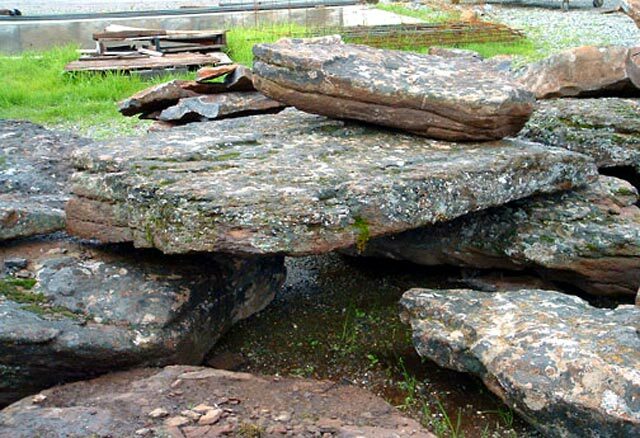 We have Wyoming Sandstone, Moss Boulders, Swirl Boulders, Fieldstone – Head Size, Desert Rose, Red & Black Lava, Limestone, Black Slate, Cold Water Canyon Slabs, Moss Fieldstone Boulders, Pumice, Shasta Pink, Pami, Granite, and Smooth River. 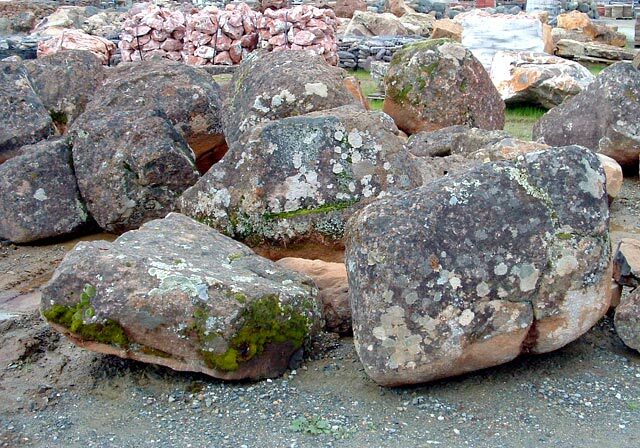 As you can see we have a great selection of boulders. 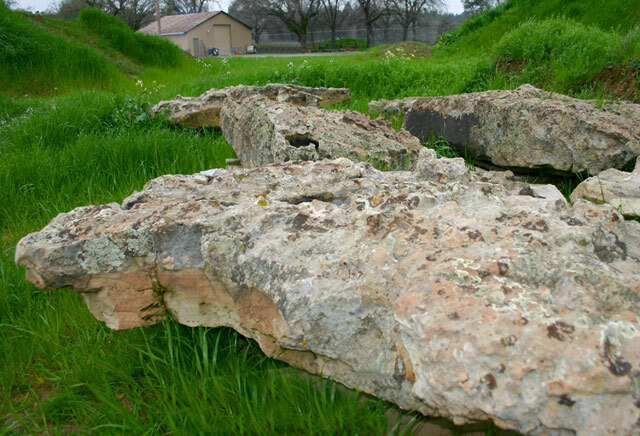 You can use these boulders to line gardens. 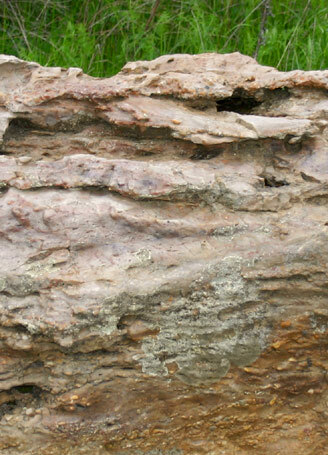 You can use these boulders to line small trails or creeks. The possibilities for use of these boulders are endless. With so many options the landscape setups you can imagine are infinite. 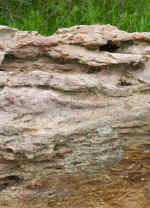 Every boulder has its own properties so you will not find it hard to find the perfect boulder you are looking for. If you are building for a damp environment moss boulders would be a great addition because the moss thrives in those environments. Trying to go for a sleek modern look, try out the black slate. 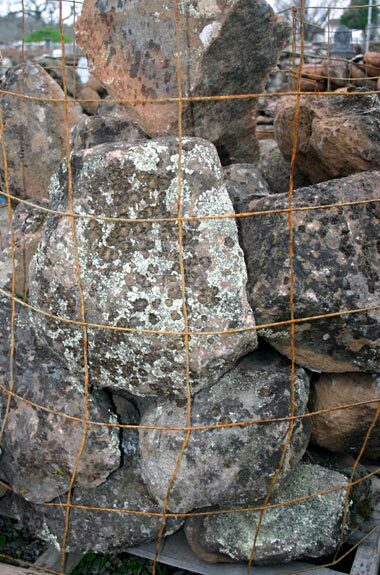 If you like field stone boulders and like moss boulder we have the combination of both moss and fieldstone that will leave you without having to make a compromise. Some of these boulder look nice in dry and arid environments like the desert rose. 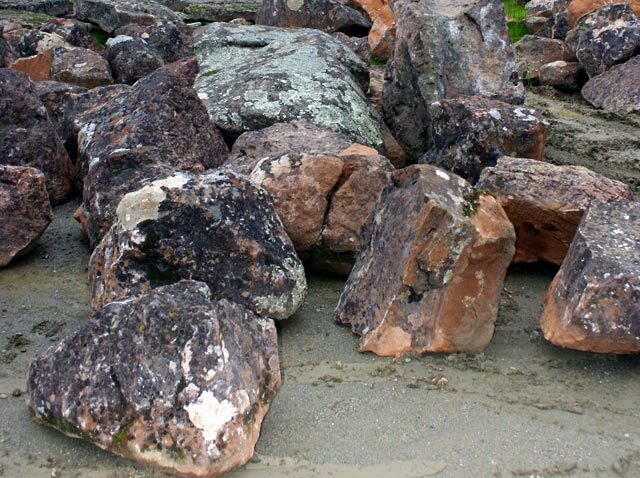 With our boulder selection you can make any landscape beautiful just give us a call at (530)243-3037 or send us an email at sales@vichannan.com and we will answer any questions you may have.